DrinkWire is Liquor.com’s showcase for the best articles, recipes and reviews from the web’s top writers and bloggers. 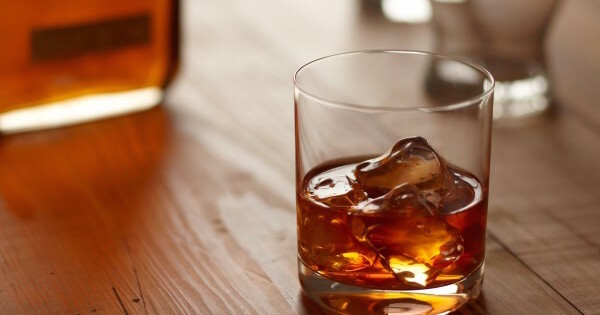 In this post, Go Bourbon offers a few notable whiskey quotes. The author’s proclivity for both women and whiskey is not exactly a secret – after four wives and a persistent folk tale that he “wrote drunk and edited sober,” its not surprising that Hemingway didn’t delay his gratifications. While collectors nowadays have shelves full of limited edition bottles, Hemingway’s advice to seize the moment should spur you to open the good stuff at your next gathering. The vaudeville comedian had a way of making light of a bad situation – even if he created the situation himself. His famous “tramp juggler” act (complete with cigars, whiskey, and sarcasm) delighted audiences for decades. “Stonewall” Jackson had plenty of experience with The Hunters of Kentucky, including leading them into battle in the War of 1812. He’s also known to have killed Charles Dickinson in an illegal duel in Logan Co., Kentucky over a slight to his wife – maybe a bit more Bourbon and card playing would have calmed him down. The Scotch Irish who settled the Appalachian foothills of Eastern Kentucky brought more than flocks and folk music – they brought Whiskey making traditions stretching back centuries. As they moved across the country searching for their manifest destiny, they took that whiskey right along with them – to make friends, of course. Mark Twain’s love affair with the South, the Mississippi River, and its Kentucky Bend on the western edge of the state is evident in his writing. He famously said that when the end of the world came, he wanted to be in Kentucky, as it was 20 years behind the times. Bourbon does it slower, Mr. Clemens. When nomadic tribes began to take up permanent residence in the cradle of civilization, they were only able to do so by planting grain. Faulkner understood that this excess grain, usually used for the production of spirits, was a binding force for these newly settled societies. He was known for his love of mint juleps – and, like Hemingway, wrote mainly next to a bottle of whiskey. The post 6 Bourbon Whiskey Quotes You Need to Read appeared first on The Bourbon Review.